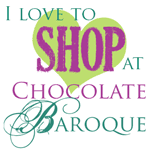 Today it is my 3th and last time to post a card a guest designer for Chocolate Baroque. I hope you enjoyed my samples. The basis for this card is a previously made GelliPlate print with acrylic paint. 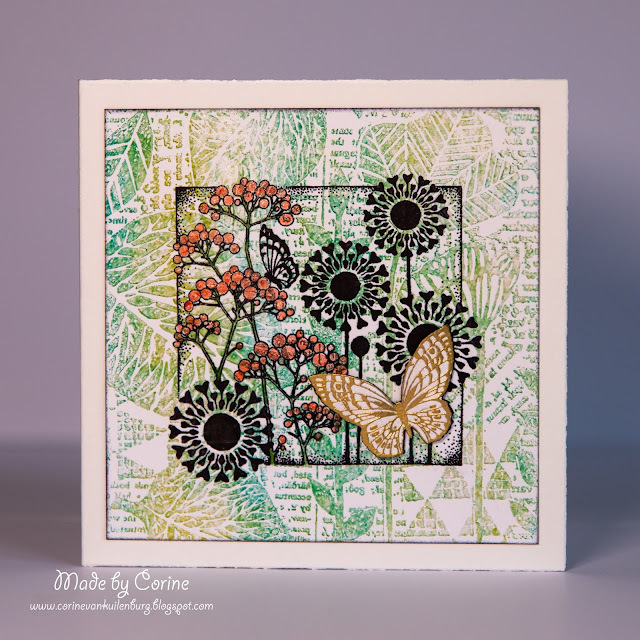 On this I stamped the collage stamp of Fantastic Florals with black water resistant ink. I colored the balls of the flowers with red pencil and on top of that I applied gloss with the Wink of Stella Brush clear. 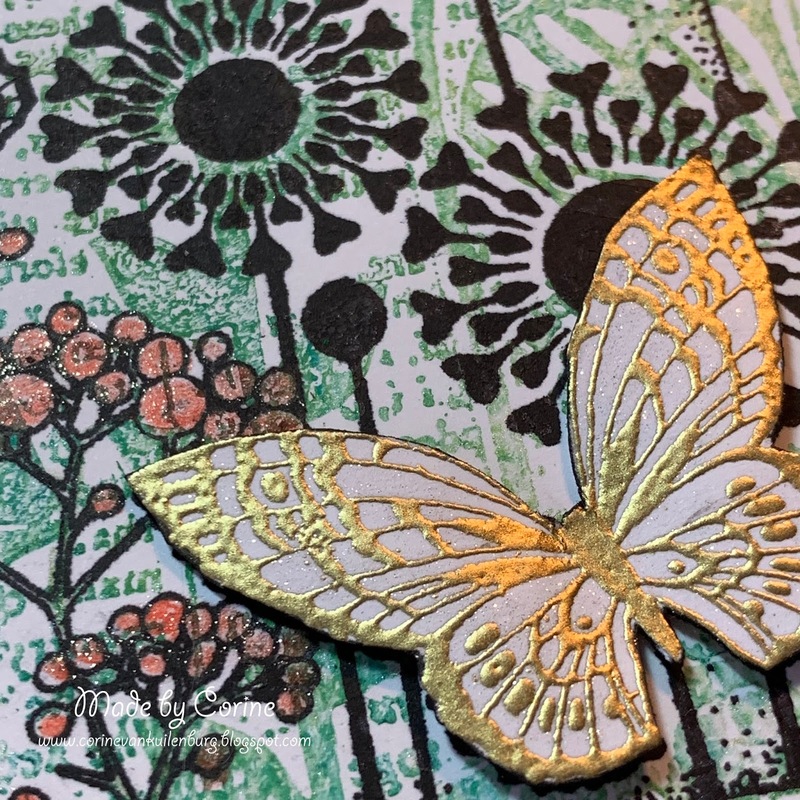 The butterfly is embossed with gold embossing powder on a separate piece of white paper. 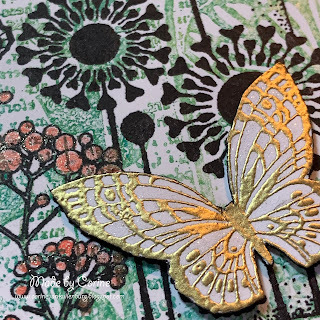 I cut it out and stuck the butterfly off the black print.